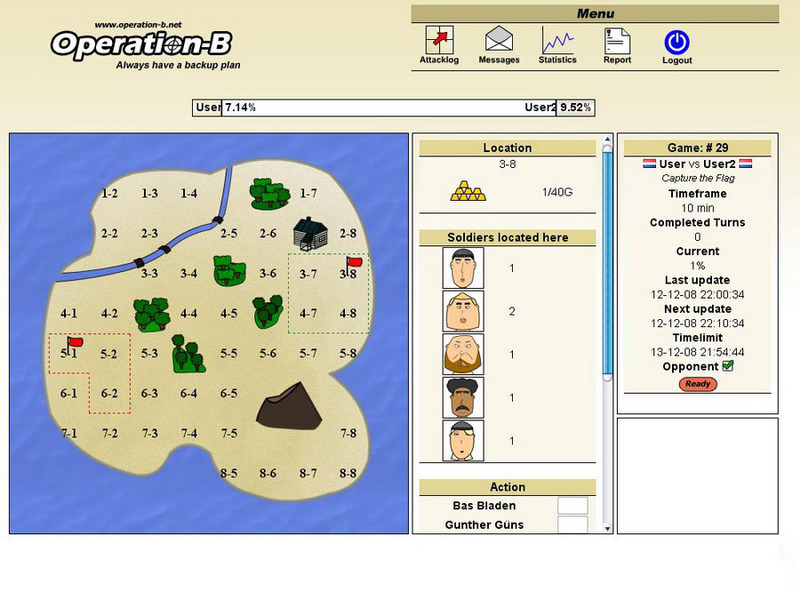 Operation-B is a browser based strategy game where tactical insight is more important than pure strength and outnumbering the enemy. In short the game revolves around this: Every player has to form a team of mercenaries, which he will use to beat the opponent. These soldiers can be hired by paying them the necessary amount of gold they require. Gold is acquired by conquering the fields on the battleground where both players face each other. The soldiers are only loyal to their payer. This means that if you lose a field, you will lose the funds connected to that field and you will be unable to pay some of your mercenaries. Hence you will lose their loyalty and they will find something else to do. The game is turn based, this means that every action is handled when turns are finished. Each turn consists of a timeframe. This frame indicates when a turn will be finished. Within this period of time you have to complete all your actions. It’s also possible to signal you’re ready once you’ve completed all your action handlings. If both players have signaled, the turn will also be completed. Then the system will handle every hiring, movement and attacking action. This will continue until one of the game modes has ended or when the optional timelimit has been reached. Land Rush: This is the most straightforward game mode. When this game is played it’s a matter of who manages to conquer most of the fields on the battlefield. Capture the Flag: Flag As the name already shows, to win this game mode you will have to capture the enemies flag before he captures yours. Gold Fever: ScaleThe game consists of gathering gold to strenghten your team. In the Gold Fever game mode the amount of gold will decide who wins and who will lose. 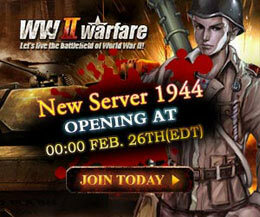 To create your team there are several soldiers and special units at your disposal. These are the mercenaries which can be hired to complete your team. They are ordered according to their strenght, cost and availability. The higher a soldier is ranked, the stronger he is, the more he will cost to hire and the more time it will take him before he will be available to help your team. These units all have their own special abilities which distinct them from the normal soldiers. They come with their up and downsides, which makes the decision harder whether or not they are a useful addition for your team. The battlefield consists of several fields which can be owned and attacked by the players. These are crucial for everyone, because they provide you with the necessary gold. When you’ve acquired a field, it will open up the following three actions: hiring soldiers, making your soldiers move, attacking neutral or enemy fields. The Operation-B went live today. The simple graphics and gameplay may make you remember the good old days when you are playing some board games with your brother.